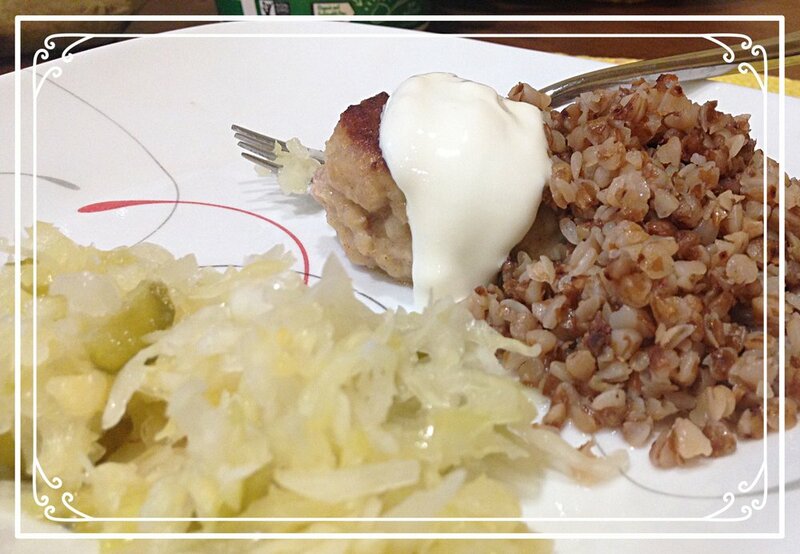 A plate that warms my Russian heart: a cutlet with sour cream, buckwheat and sauerkraut. And so will my husband. What’s so great about a cutlet? Well, almost everything. It’s soft, it’s juicy, it’s flavorful, and it’s so easy to eat! And that’s what earns you points with the little ones. If you are feeding them meat, it needs to be soft and easy to eat, which is what you get when you make these babies. I grew up eating cutlets. We didn’t have burgers back then and we didn’t know of the existence of burger patties, which is what some may call them. But we called them katleta, pronounced like this: kah-tle-tah. Made from as few as seven ingredients, they are super easy to make. Once you get a hang of it, you can whip them out in 20 minutes plus frying, which doesn’t take that long either. All it takes is seven easy ingredients! I also like to make a big batch and freeze them uncooked. You can freeze the finished ones too, but they won’t be as tender and moist. Of course, I wouldn’t be a true Russian if I didn’t mention the sour cream. Russian and sour cream go together like American and burger. You plop a big dollop of the sour cream on top of the steaming hot katleta and it turns entirely irresistible. Wait. A disclaimer is in order. These little Russian treasures are not advertised as an every day health-inspired go to food. Just like when eating anything relatively high in fat, and especially in animal fat, you want to remember the magic word: 'Mo-de-ra-tion'. In a food processor, finely chop up the onion and the garlic. If you don’t have a food processor, finely chop it with a knife. 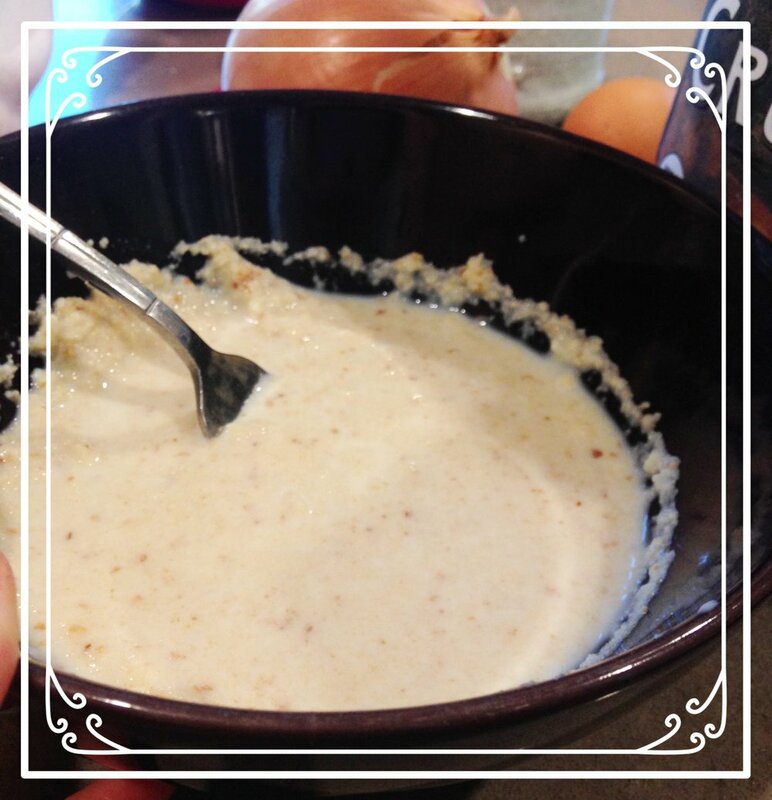 In a small bowl, pour the crumbs and cover with milk. Mix up with a fork to make sure the milk gets absorbed by the crumbs without leaving any portion of them dry. Let stand for a few minutes. 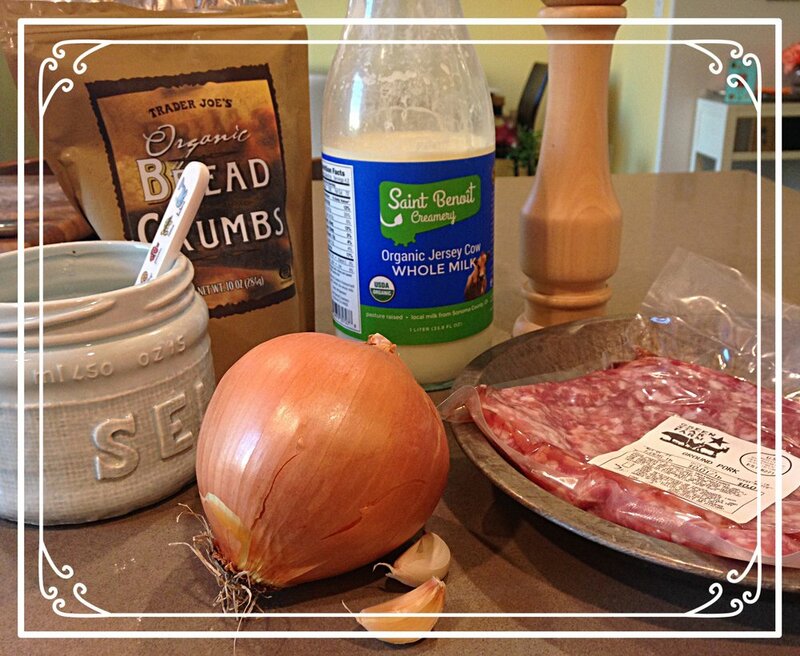 In a large bowl, crack the egg, add the onion and garlic mixture and the crumbs. Mix well. Add the meat and salt and pepper. Mix well. I use a large fork or your hands work well too. Spread the flour on a shallow plate. Using an ice cream scoop or a soup spoon, measure out the amount of the meat mixture you want to use for each katleta. 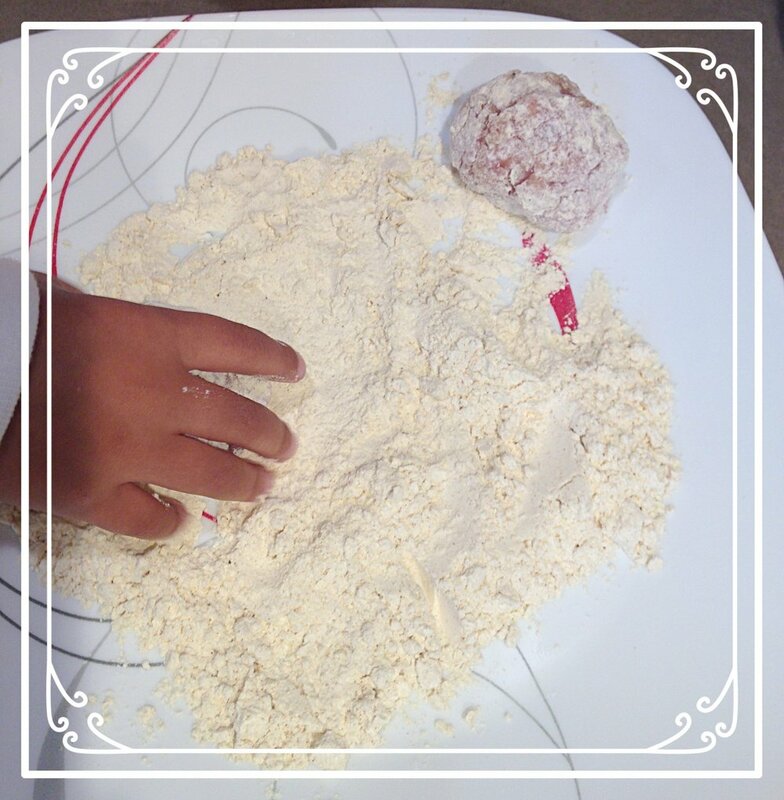 Roll it in a ball, coat it with the flour, shake it off and place it on the side of the plate. You want to have all your katletas ready to go all at once to avoid uneven cooking. Melt the ghee or the oil in the heavy bottomed pan. When the ghee is hot, place the katletas in the pan leaving some space between them. Fry for 2-3 minutes on each side until they get a golden color. Add 1/4 cup of water to the pan, cover with lid and let cook for another 15 -20 minutes or until the water has evaporated. Place on the dinner table and let everyone have as many as their heart desires. And don’t forget the sour cream. Or if you don’t usually eat sour cream, at least try a little bit and let me know what you think! A very Russian dinner with katletas and sour cream, buckwheat, sauerkraut and cut up veggies. And my daughter grinning in anticipation.